When it comes to choosing the correct accountant in the Naples, Florida area, it pays to have someone with over 20 years’ experience who has serviced many clients with a successful accounting business. As our name implies, we do a Perfect Accounting Service to make sure that your books are perfect based on the best practices of up-to-date accounting strategies available to business owners today. To find out more about us and our accounting services, and how we can help your business give us a call at (239) 227-8283. How much time do you spend keeping up your books, payroll, and filling out financial documents? If you run your own business, chances are you spend quite a bit of time on these things. But as an accountant in Naples, FL we provide a service to help you with all those things. 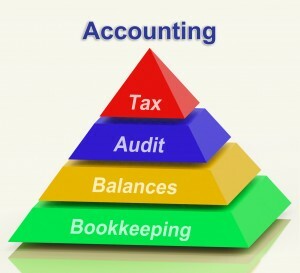 Listed below are the accounting tasks we can do for you in this regard. Keeping accurate business records can require hours of work each day. Especially if you own a large business. Our accounting service can take care of all your business records for you. Whether you need your records updated daily, weekly, or monthly, we can help you through our services. We are able to take care of a wide variety of records for your business. This can include things like bookkeeping, project estimation costs, payroll, and much more. In this way, you can save lots of time. Use this time to do something more useful for your own business! What sorts of financial documents do you often find yourself creating? You will find that no matter what financial documents you have been working to prepare, a bookkeeper can do most of these things on your behalf. Just let us know more about what sorts of financial documents that you need generated and we can get them to you. Or we can simply provide advice to you as you are preparing your own financial documents for your business. how you will afford the future you have always dreamed of. Consult with our office today to get started on your financial plan for the future. We can talk to you about savings, investing, or put you into contact with someone who can tell you more about these options. It’s never too early to start planning. We provide accounting services to the Naples Florida area. Perfect Accounting Service is one of the few accounting firms that provide professional and accurate bookkeeping services to clients within Florida, particularly the areas of Naples, Marco Island, and Bonita Springs. Do you have questions for us? Get in touch with us by filling out the form on our contact us page, or call us at (239) 227-8283. Give us a call today so we can get you the help you need. Call (239) 227-8283 and ask for Kathleen!